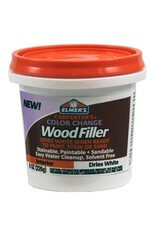 Elmer's Carpenter's Color Change Wood Filler (8oz) dries white and is good for indoor wood repair projects. Watch as it goes on purple and dries white when ready to paint, stain or sand! Use it to fix holes, dents, scratches, gouges and any other defects on interior wood surfaces. After the color changes, easily finish and stain or paint your project to make the wood look just like new! 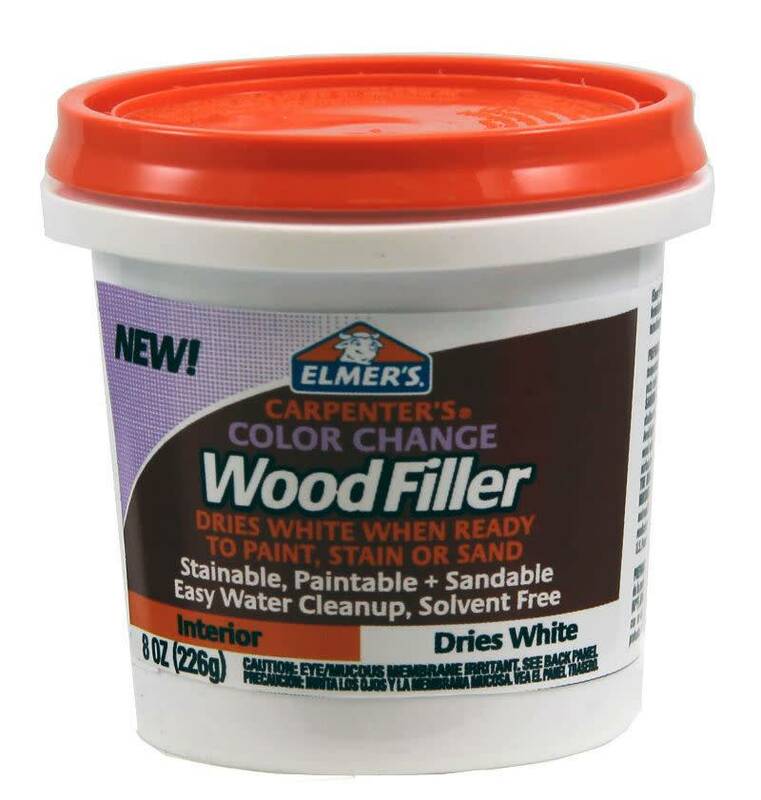 This patented Carpenter’s Color Change Wood Filler formula that dries white is also made in the USA!